"Hansu" is the name of my club, which means water (from the Han river) and symbolises the characteristics of water: source of life, flowing softly yet powerful enough to form rocks. The picture in my last post shows the logo of our club on the back of a taekwondo uniform, the Chinese character for water enclosed in a wave. So what does the uniform look like? It is basically a simple wide jacket and wide pants both made from thin white cloth. The jacket is held together by a belt which also shows the rank of the person. For starters just some loose fitting clothes will be all right. When you decide to regulary attend classes then a dobok (taekwondo uniform) should be considered. As for the sparring gear most clubs provide them for use during classes. 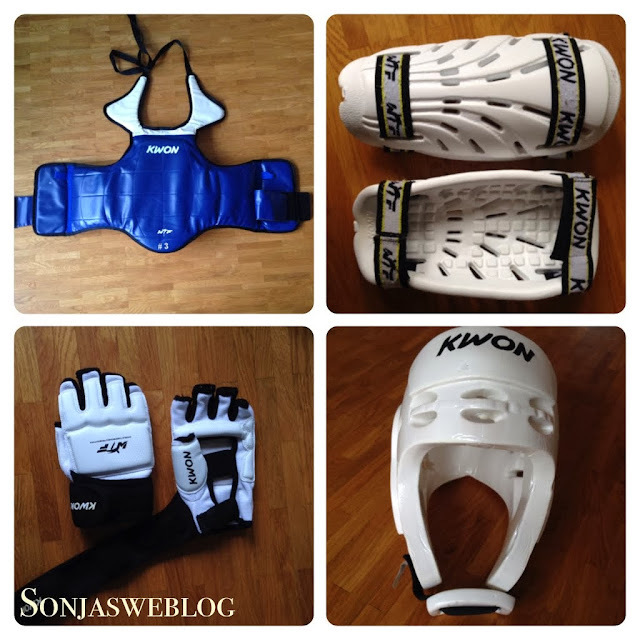 If you are sure you will learn taekwondo for a longer period of time (and/ or for hygienic reasons) buy your own equipment! 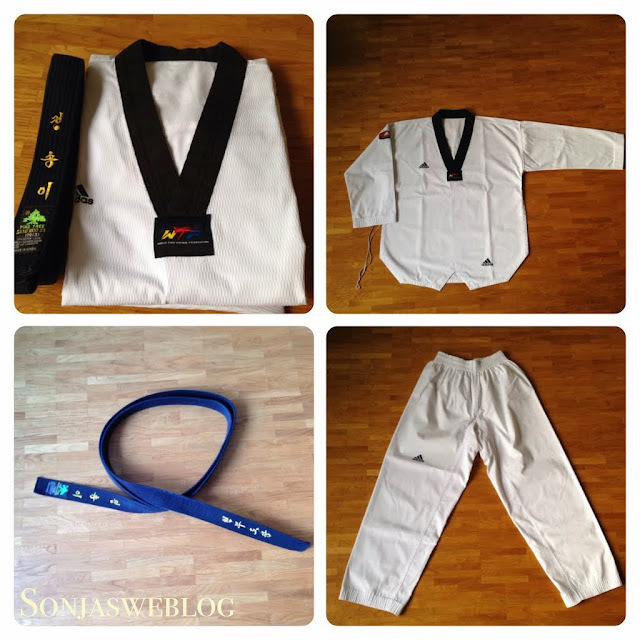 At our club Hansu we are very technique oriented which means we focus on learning forms (called "poomsae"). There are 17 forms, each with a fixed pattern and level of proficiency. The form is a combination of hand and foot techniques resembling combat but are artistically non-combative. Energy, precision, speed and control are the key points to train. This makes it so attractive to start with taekwondo, age does not matter to learn poomsae!